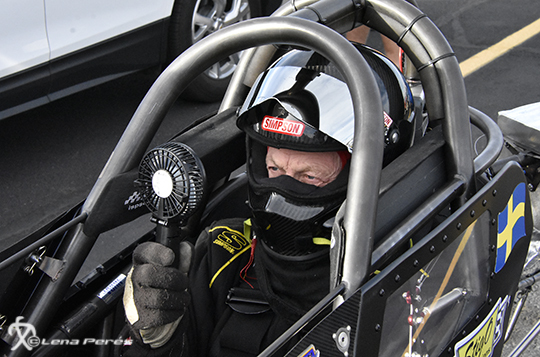 Stig doing his burn-out at The Strip, one step closer to the World record. After a long, hard racing season and a week of work on updating and servicing the car, Stig and Bente Olsson have headed back home to Sweden. 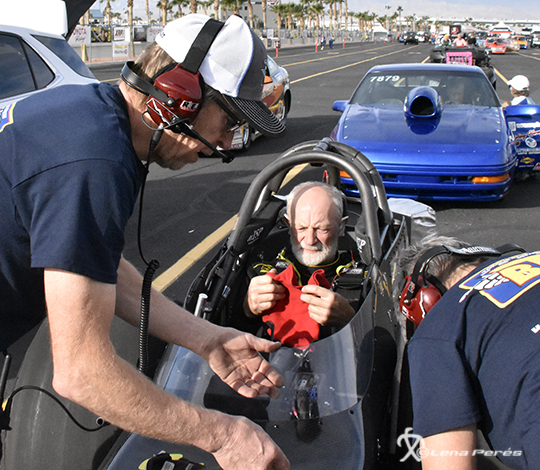 But no rest for the wicked, Stig is going back to the US already in February 2019 to get ready for racing at the first NHRA divisional event in Baton Rouge, Louisiana, March 1-3. Moving on from there to help celebrate and compete at the grand 50th anniversary of the ‘Gators at Gainesville Raceway in Florida on March 7-10. Bente and crew giving Stig the information of the latest run. 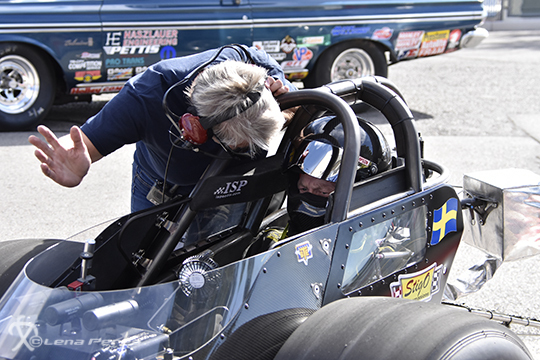 Last year, Stig sold his trusty old Competition Eliminator dragster back in Sweden and bought a new car in US. 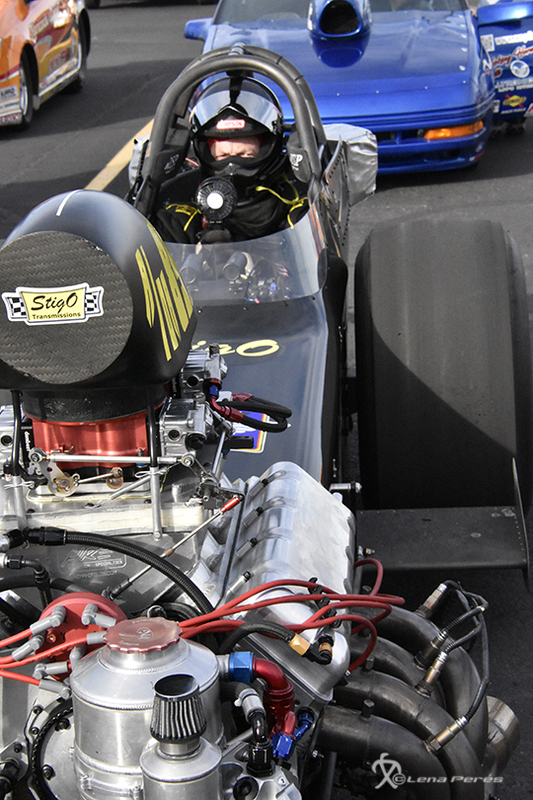 Stig and his wife Bente travelled to Neil & Parks Racing Enterprises in Kansas and started to put the dragster together during the winter, and in March it was time for the first test round. 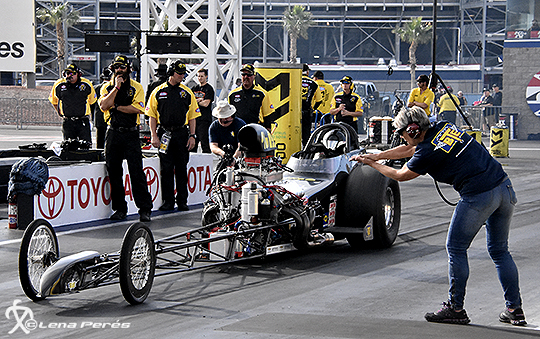 During the season they had some struggles with the engine but did the tricky work to eliminate the problems one at a time. 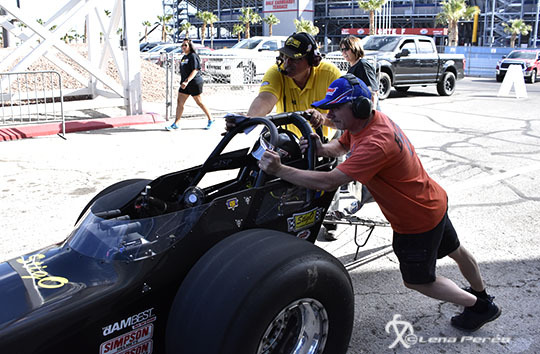 And finally, at The Strip in Las Vegas, it all came to fruition, a new A/DA Competition Eliminator world best elapsed time of 6.56 seconds. – We worked very hard to eliminate a few gremlins in the car, says Stig. We changed our piston supplier and during our time in the US we’ve also learned a lot about track preparation there. It’s a bit different than in Europe. Time to get ready for some race. 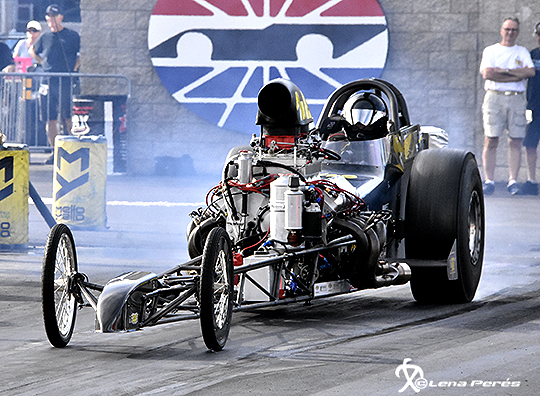 After the national race at The Strip in Las Vegas, Stig and Bente stayed on for a few more days and entered the big sportsman event during the following weekend. 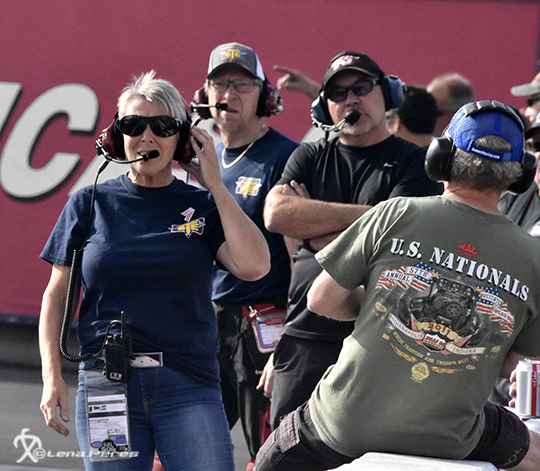 It turned very busy, from there the team continued on to Pomona and the Auto Club NHRA Finals starting just four days later. Stig qualified #18 but unfortunately was out in first round against Ed Sigmon. We found Competition driver Micke Nilsson, who won Summit Racing EDRS Series Winner 2018, on site helping Stig O at the track. After travelling way more than 6500 kilometers / 4000 miles for racing at NHRA racetracks, the Olssons went back to Holly Springs, Mississippi, where they once begun the trip last spring. The dragster and trailer has now been given some service and love until next season, with big support from BTE Racing, who is the gearbox and converter supplier, and Neil & Parks Racing, who built the chassis. Bente giving Stig the direktion of the next race. – Everybody has been helping us out very much, no way we could have done this without their support, says Stig. BTE Racing has also offered us space in their workshop where we now have our base during the off-season and between races. Las Vegas can be very hot, but Stig have the solution of that. Stig and Bente have decided to race the 2019 season in the US as they want to capitalize on all the learning experiences from the 2018 season. – We’re living the dream, says Bente, we got the trailer as out home here and are now pensioners, as well as Stig runs the transmission company. So, we’re free to go forth and back between the continents whenever we want.